The PubMatic and Softonic partnership began when Softonic first leveraged Mocean, PubMatic’s mobile ad server, in 2014. At first PubMatic was only tasked with setting up Softonic’s direct native campaigns. The publisher expanded the relationship to more of its programmatic efforts to maximize revenue from its inventory, customize all of its native ad units and provide more access to its inventory for its top native demand sources. 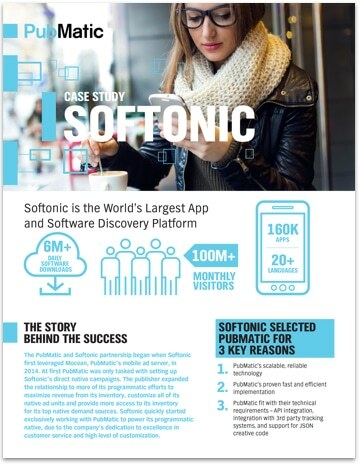 Softonic quickly started exclusively working with PubMatic to power its programmatic native, due to the company’s dedication to excellence in customer service and high level of customization.